Realize eternal peace, love & bliss through a direct means to answering the question "Who Am I?" As a condensed version of the COMPLETE Immersion that is happening within December. We have also made available a 3 & 5 Day Option in which will give the same potency of the core teachings and direct practices to come to a deep sense of inward knowing and clarity. A space where one can realize the inward truth of peace, and manifest this outwardly within their relationships, projects and vocation. A space of unconditional love with ALL that arises in your life. This is true freedom! 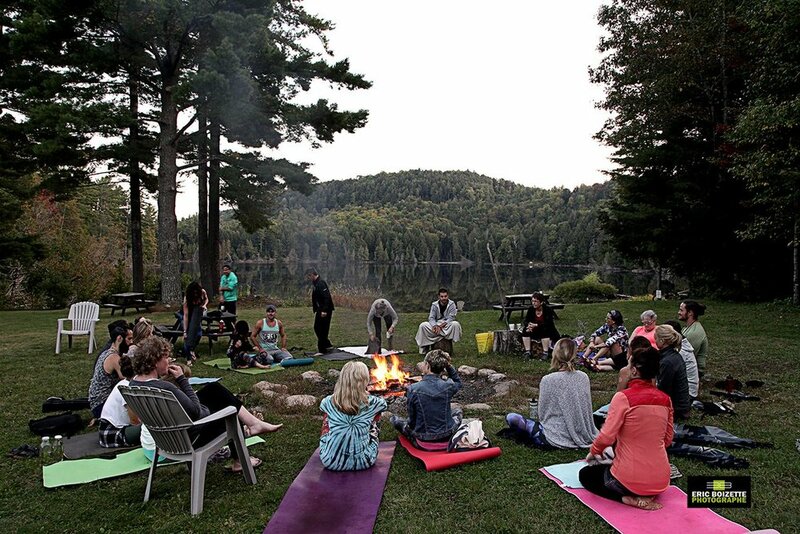 This Retreat is designed to take through the most direct means to self-realization and a direct experience of eternal peace, love and bliss - guided by Sheikh & frriends. Through the techniques, pointers, readings and transmission from Sheikh & friends You will experience a complete upgrade in all aspects of your being and life. This is for one who sincerely desires to live Free from Ego & suffering, yet understands their unique purpose for being here, living this life as a human. This is not about running to a cave for years on end, this is about practically applied, mindful and spiritual living! Teachings take fold in 3 main ways. Meditation & Self Inquiry - Looking to Answer the question WHO AM I? To experience that deep sense of peace, bliss and love. Authentic Relating and Connecting in Community - Being authentic in communication, connection and intimacy. Learning the essence of "seeing yourself in others" and the "golden rule" through various exercises. Tantric Living in Life & Relationship - How is the pleasurable experience of tantra an experience one can have within all aspects of their life. Expanded and heightened within their relationships. Heart Centered Purpose & Creation - Explore the means in which you would like to offer your gifts to the world and the path of your vocation. Breath, Awareness and Movement - Connect with the body in a completely new and subtle way. Learn to deep your clarity in listening to your intuition and messages from the body. Open yourself up to initially focusing deeply on the depth of connection with oneself through the means and path of self-realization. To come out the other side as one who is completely immersed in the peace, bliss and love of the SELF. YOU - We are having some slots within the weekend for those who want to share their gifts or lead small exercises and offerings. This is the co-creative element of our retreat. We will have some that will be pre-planned by those who desire to share to contact us beforehand - others will be able to spontaneously decide during the retreat. This is only available for participants of the retreat. Food Recommendations - Eat LIGHT in the morning. As LITTLE food throughout the day. A bigger meal in the evening is recommended. More will be discussed on this during the retreat. 9:00 -9:45am - Optional Morning Yoga, Breath and Movement. If desiring 2 day with food and 1 night accomodation, please message. If it is not feasible for one to attend the entire Complete Immersion - One can Take part in the 3 & 5 Day Year Completion Retreats seen HERE. Refunds Available Until Nov 11th. NO refunds will be provided for after Nov 11. More on INFINITE Life & Sheikh. The discussion around spirituality has become very complex, confusing and paradoxically at times stressful. Sheikh looks to resolve these paradoxes by bringing fourth these supremely simple methods of realizing the nature of oneself. Answering the question "Who Am I". Sheikh is focused on developing a core center of devoted practitioners to seed a more practical and modern form of self realization based teachings.